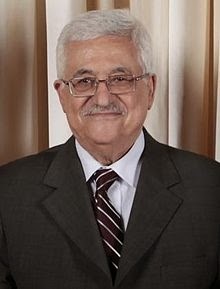 Abbas, head of the PA Arabs, has to be bribed to sit and talk with Netanyahu and his contingent about peace. The Arabs have insisted that they will not sit unless 104 Arab criminals, most serving life sentences for murder, were released from Israeli prisons. The Israelis have complied, because peace is their goal, by already releasing 78, but this has brought on much hand-wringing as the criminals were killers, responsible for many horrible crimes. To release them was almost like a future death knoll for other Israelis to be facing. That was asking a lot. Left to be released of this Arab-preferred group are 26 more. Most all have served 20 years already. Alan Dershowitz, an American lawyer, had occasion to advise Obama to at least throw in Pollard's release for the Israelis in order to get Israel to go ahead and finish by freeing the 26 left. " One of the 26 had murdered a Holocaust survivor who immigrated to Israel after his family died in the Nazi death camps. Pollard is an American Jew who is in prison for being a spy for Israel, though Israel didn't hire him. It was something he had in his own sites to do for Israel, who presumably was a friend of the USA anyway. John Kerry, US Secretary of State, was just in Israel and spoke with Netanyahu without talking to Abbas. He's now in Brussels but may speak with him on his way back. Pollard is eligible to be released in November 2015 after serving 30 years of a life sentence. Is is really a balanced trade to use Pollard as a bargaining chip versus 26 killers? To wave Pollard's freedom in front of Netanyahu to extend the talks , that are going nowhere is not worth the act of freeing terrorists. It only is causing the Israeli public to be horrified since there is no assurance that once the criminals are freed that the PA will continue to sit since they seem to need a carrot dangling constantly. Already there is talk of an unofficial building freeze in Judea and Samaria in exchange for Pollard. We don't know who is talking about it, the PA, Kerry or Israel. It may be the next carrot to dangle in front of the Arabs to sit still and listen and talk in a conversation about peace, at least. Senior PA leader Nabil Shaath was heard to say that "due to the prisoners we haven't stopped negotiations. We blackmailed Israel to release the prisoners." One of the prisoners is Abu-Musa Salam Ali Atia, a Gaza resident and member of Fatah who was convicted of murdering Holocaust survivor Isaac Rotenburg as part of an initiation into a Palestinian terror group. Rotenburg was working in 1994 when he was attacked by 2 Palestinians laborers with axes. They are saying that they threatened to have Israel prosecuted at the International Criminal Court. What they want them prosecuted about doesn't matter. The UN holds Israel up to much higher standards than any other country in the world. All they do is berate Israel in their meetings in the Human Rights Council, so they can make up any story and others will buy into it. The PA already has the membership in the UN they were seeking so have the power to do so. Nabil Shaath has said now that they are just waiting for the prisoners to be released before they stop the negotiations. This tells us that the current round of peace talks might have just been a game-a charade with them. Now in many countries, such murderers that Israel has in their prisons would have been shot in about 3 days after being picked up. However, Israel doesn't have the death sentence. So now they have become a bargaining chip. So much for being moralistic and doing away with a death sentence. Right now haggling over the release of this last 4th batch is going on since they all missed the Saturday, March 31st deadline set by Kerry. "Netanyahu said that Israel would not make a deal to free the prisoners "without a clear benefit for Israel in return." Evidently that's why Kerry is using Pollard as bait. "An Israeli official said that the Palestinians also did not live up to their commitments under the framework, including to engage in serious and good faith negotiations." As I have said before, I do not not believe that the PA has peace as a goal. They're just going along with the charter that Hamas has, but attacks in their won way against Israel with the same goal to destroy Israel. They don't want to start from scratch to create a state they can't administer anyway. It's much easier to take over Israel and use it until it falls apart, such as the land was when Jews returned to it. To make matters even more convoluted, the PA is now demanding the release of 14 Israeli Arabs. . "The Israeli government has so far refused to consider freeing Israeli citizens convicted of terrorist acts." There is confusing information from a radio report that Israel would free 400 prisoners if they were to remain in Judea-Samaria, but Netanyahu's office is nixing that idea. Rumors. Innuendos. Not facts. Israeli citizens that are victims of terror have demonstrated already and are blaming the USA. They feel that Kerry has an agenda that is promoting peace in the Middle East and in order to carry it out has somehow pressured or even blackmailed the PM of Israel into releasing terrorists, said Yossi Zur, spokesperson for the victims as he talked to the Washington Free Beacon. The US officials have emphasized over and over that they want negotiations without preconditions, but they finally gave in and surrendered to this precondition of releasing terrorists. One wonders what it would take to release the Boston terrorist who attacked the Boston marathon? Multiply him by 104 and under what conditions would the USA free them all? Would there be a solid guarantee that it was worth it attached? Update is that Pollard was to be freed if Israel freed 400 more prisoners; one for 400. Johanathan was a mentch in that he himself is not going for it. He waived his parole hearing to oppose the deal. "The proposed deal was also sharply criticized by Judea and Samaria's Yesha Council as being a "disgraceful" case of "Arab blackmail and American bribery."